Register below for immediate access to the REIKI BEST PRACTICES online video trainings. I want you to be very successful so you can help more people benefit from Reiki practice. I know it takes years to develop the professional skills that make a credible Reiki presentation, one that is appropriate for health care or the mainstream public, and true to Reiki’s spiritual essence. I remember how I struggled in the beginning, and how frustrating and disheartening the process of building a business was. After all, I became a Reiki professional so I could help people, not to be a businesswoman. That was a bit naive of me. Your Reiki business is how you bring the practice to the world. Why not include your business practice as part of your Reiki Best Practices? In other words, bring the same heart and clarity you bring to your clients to building your business so you can help more people. 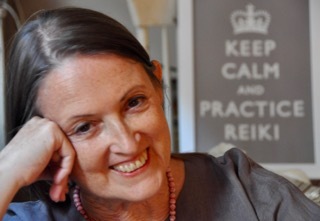 I’ve been a Reiki professional since 1986 with a thriving practice in New York City. With my REIKI BEST PRACTICES trainings, you can leverage my decades of experience to jumpstart your success. We need more credible successful Reiki professionals serving the mainstream public. Register now for immediate online access, and return to review as often as you want. Already purchased a training? Click here to access a recording you have already purchased. Introducing Reiki practice to conventional medicine requires savvy communication. This webinar hits the high points so you can quickly upgrade your communication strategy. You also receive a 4-phase program proposal that you can customize to fit your needs. Watch the video as often as you like. Click Intro to Medical Reiki for details. Public Reiki events are the most powerful way to step out in your community and share Reiki treatment with people who wouldn’t find you on their own, but only if your event is very professional. This webinar pulls together what I’ve learned in 25 years of organizing events into seven steps, each explained in detail, so you’ll show up as a seasoned professional with your very first event. 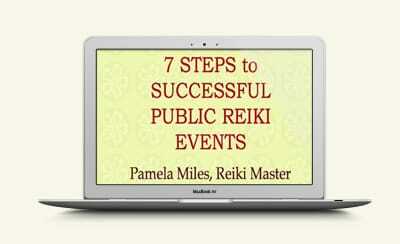 Click for Successful Public Reiki Events details. Is your website working for you? Does it give visitors what they need to choose you? Or maybe you don’t even have a website yet and you don’t know where to start! 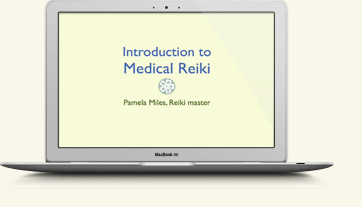 Let’s get you out of overwhelm and onto a website that showcases Reiki–and you–to the mainstream public! Click Website Webinar for more details.